We put our key card up to the door, turned the handle to be greeted by bright rays of sunshine streaking through the room. A warm and bright welcome to what was the start of a three-night stay in Reykjavík. 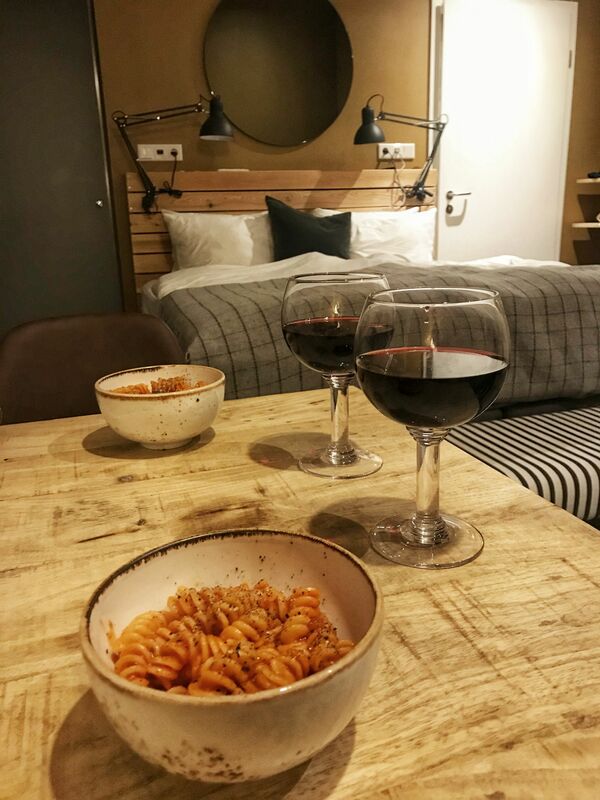 We both looked at each other with excited smiles, it was our first time visiting Iceland and we knew as soon as we laid eyes on our apartment that we had a cosy haven for us to return to after days exploring. The Swan House is a boutique apartment hotel located in the heart of the vibrant city centre. 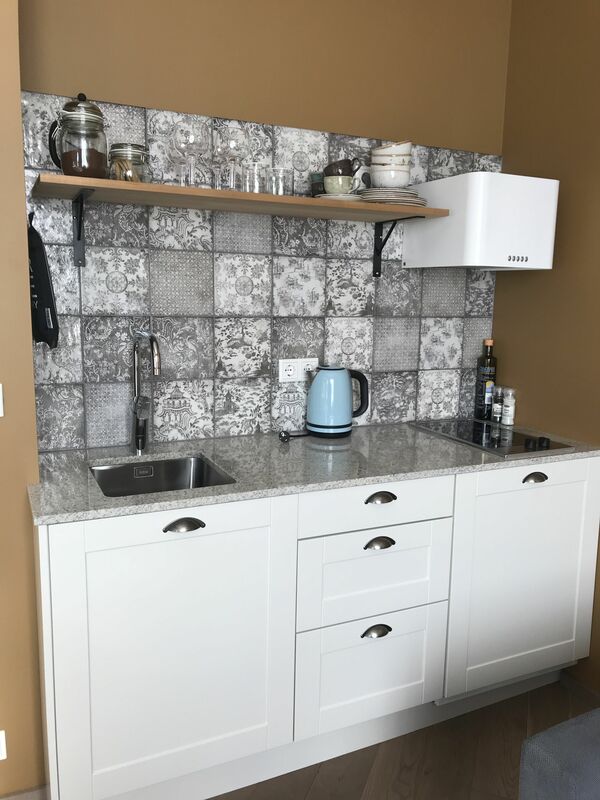 Part of the Raetur group, an Icelandic word for roots; the concept of the apartments is to give independent travellers a touch of luxury whilst they experience authentic Icelandic culture. The apartments embrace Scandinavian design with an essence of simplistic rustic living, giving a cosy yet comfortable place to relax. From the stripey stool, parquet wooden flooring and beautifully tiled kitchenette, we couldn’t take our eyes off the chic design of our apartment. What Adam and I hadn’t quite envisaged was just how close the main attractions in Reykjavík are to The Swan House. In less than five minutes you can walk to the Harpa Concert Hall, which has a mirage of bright colours flickering from the outside come nightfall. The location is ideal if you are looking to book tours in Iceland as many will pick you up from The Swan house. 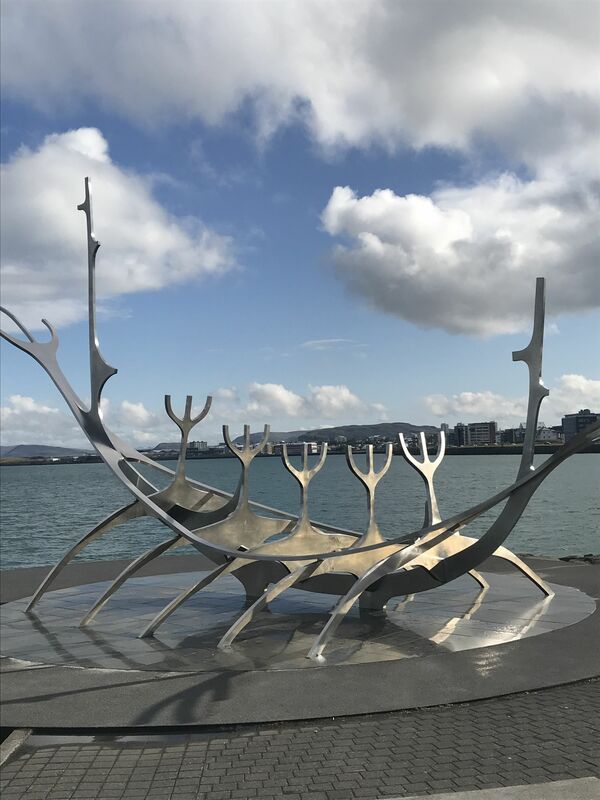 A two-minute walk, left as you reach the end of the street takes you directly to the Sun Voyager statue. We pretty much had this beautiful landmark to ourselves during our early afternoon visit. The statue, an ode to the sun, glistened in the bright sunlight. Created by Jón Gunnar Árnason, the intention of the statue is to convey the promise of undiscovered territory, a dream of hope, progress and freedom. A beautiful concept and one we could truly appreciate on this glorious day as we began our own journey in Iceland. 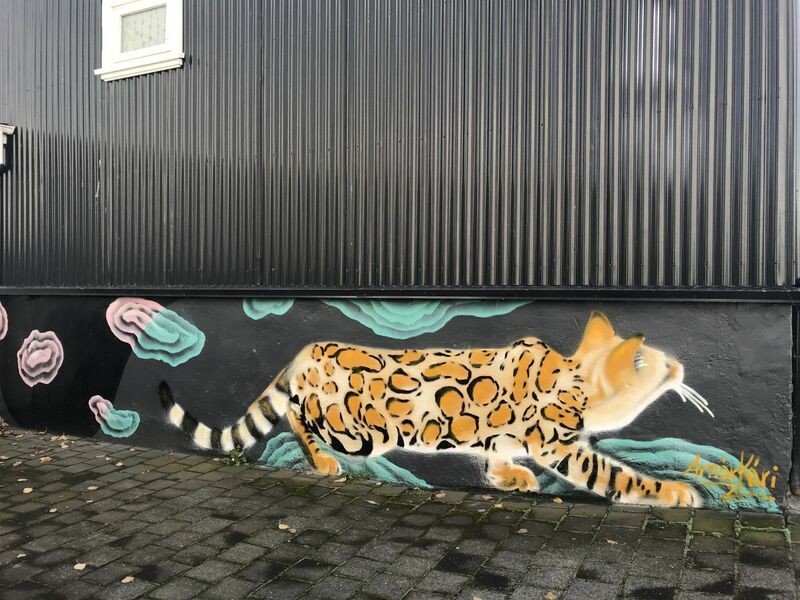 We walked through the tree-lined streets of Reykjavík observing the brightly coloured houses, street art and the many unique Scandinavian stores. 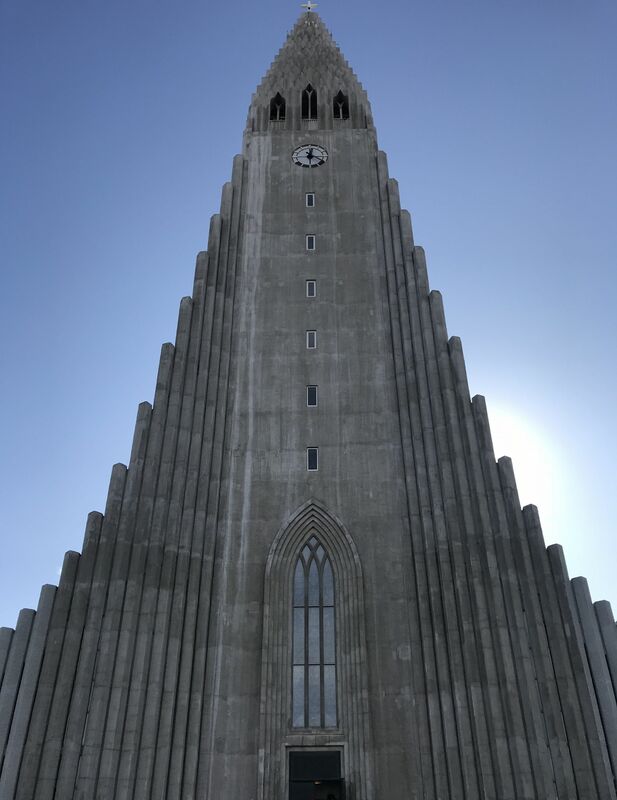 One of Reykjavík’s most iconic landmarks, Hallgrimskirkja Church (Adam referred to as the Lego church – must be a boy thing) is also less than a two-minute walk from The Swan House Apartments. 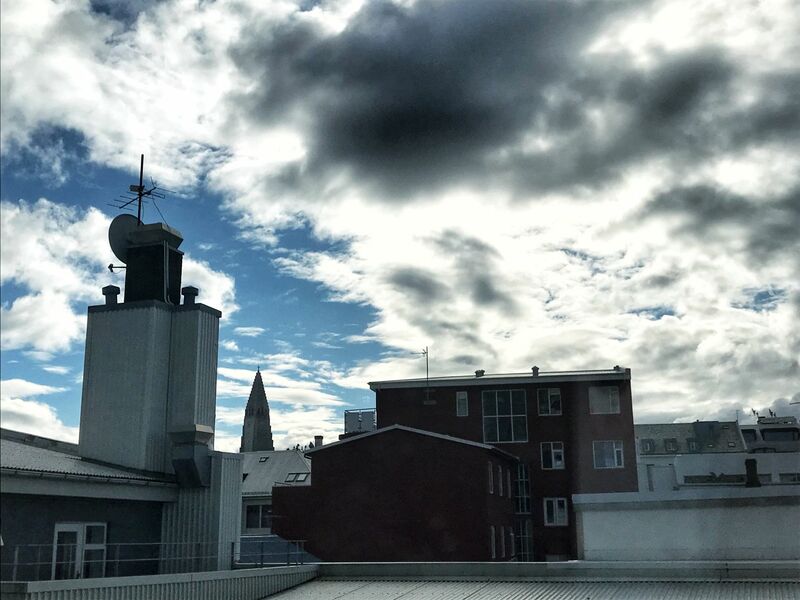 The striking Hallgrimskirkja church tower is visible from almost anywhere in Reykjavík and as we soon discovered, it is also visible from our apartment at The Swan House. Is it Expensive to Eat out in Iceland? After browsing the streets surrounding the hotel, we picked up some groceries for our stay. One of the things we had heard before visiting Iceland is that it is expensive to eat out. After buying two cones of chips for £15, I can verify it is! Needless to say, we couldn’t have been more thankful for our kitchenette in our apartment. Whilst foodie adventures form the majority of our travels when we’re away, this time around we were keen to spend as much of our time exploring Iceland’s vast landscape. We choose waterfalls over being waited on (plus, we were heading to Italy a couple of days later so happily enjoyed the scenery in Iceland and consumed all the pasta and pizza in Lake Maggiore! saucepans and cutlery meant that it really is a home-away-from-home. 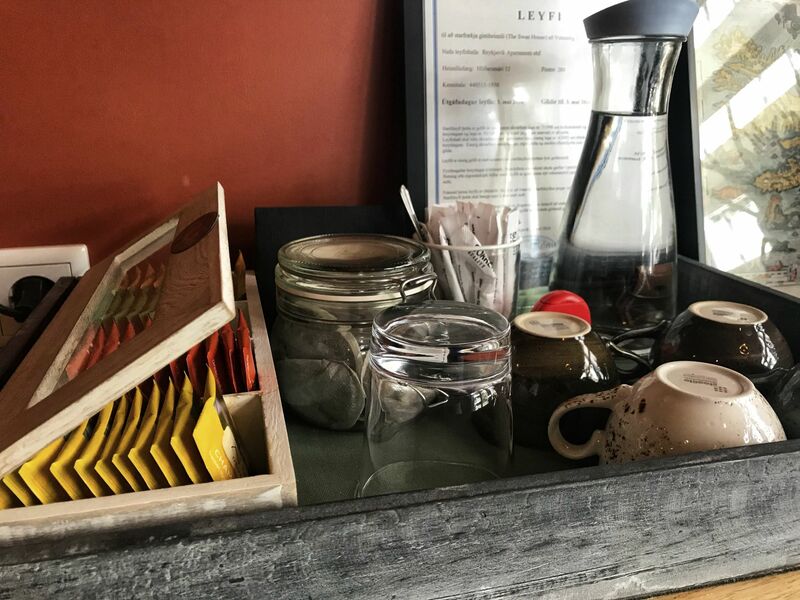 The Swan House even provide a selection of assorted tea bags, olive oil and condiments. All nice touches that made our time in Iceland that much easier. 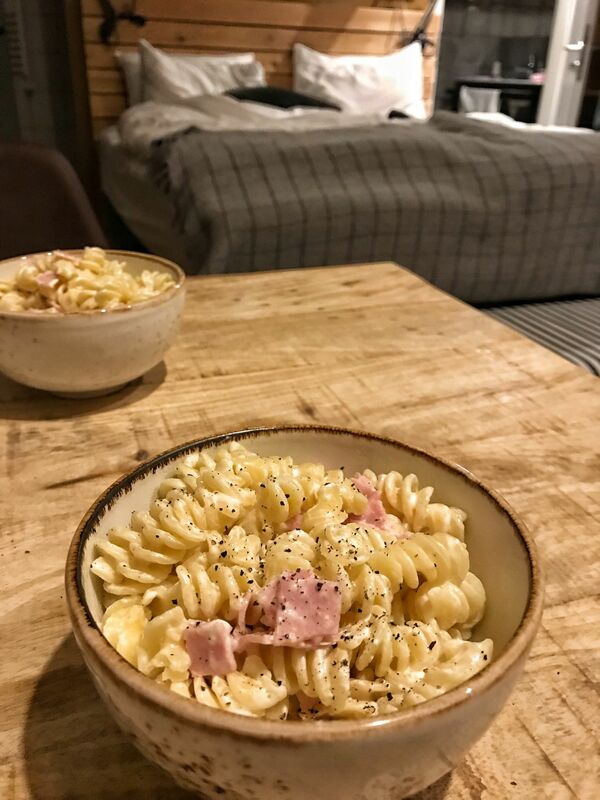 Some evenings after long-days exploring Southern Iceland’s famous Golden Circle Route, we cooked up some pasta before heading back out to see the Northern Lights. Whilst The Swan House does not benefit from its own car park, we never had a problem parking near the hotel (and I’m rubbish at parallel parking!) Unlike dining in Iceland, parking is extremely reasonable (check out my Driving in Iceland post for more information about parking, car hire, insurance and road tripping Southern Iceland. ) Therefore, do not let the parking be a deterring factor, we found ample spaces whether we were returning in the day or after chasing the Northern Lights later into the evening. In fact, the biggest bug-bear we found about staying at The Swan House in Reykjavík was being able to get out of bed in the morning! 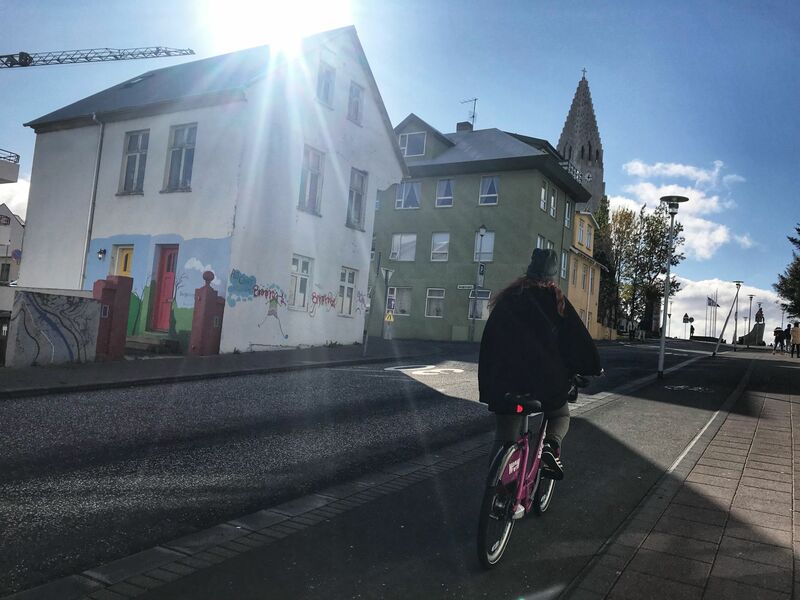 Given the location is right in the heart of Reykjavík city centre, we didn’t hear a peep at night! As I may have indicated earlier, the mattress and pillows are divinely comfortable and it was near on impossible to get an early start. 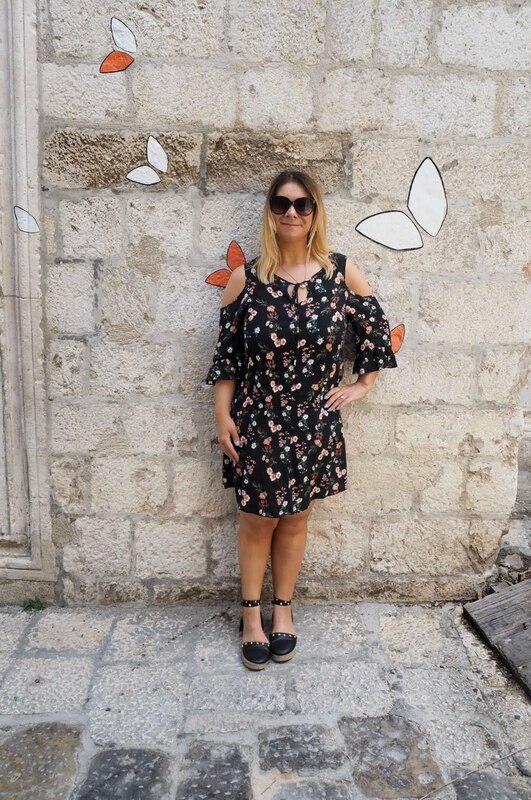 I have found a new rival for our stay at The Hoxton Paris, which if you can remember I could not stop harping on about the pillows and comfortable bed! 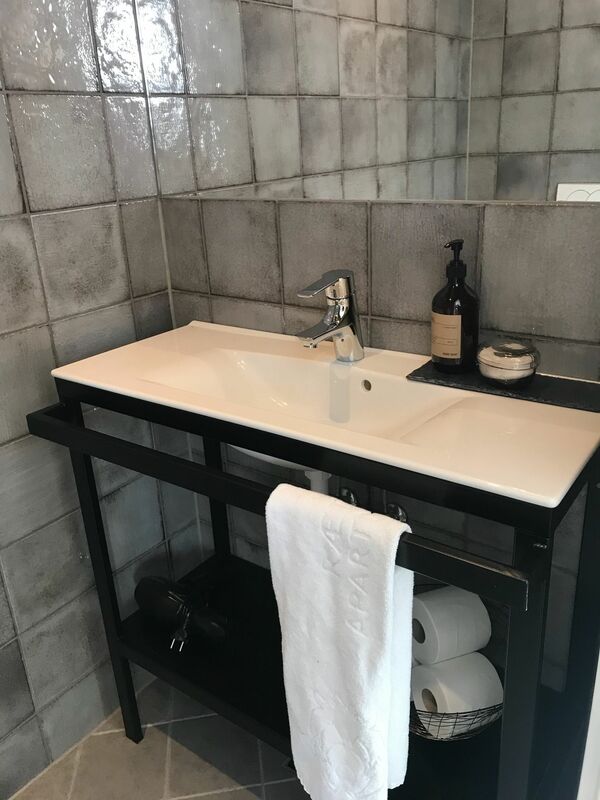 I feel like I need to stay at both The Swan House and return to Paris to stay at The Hoxton again for blogging comparison reasons of course! Not only are the pillows and bed at The Swan House super comfy; I really love the quilt too. This double bed has two single quilts instead of one shared quilt and I love this idea! 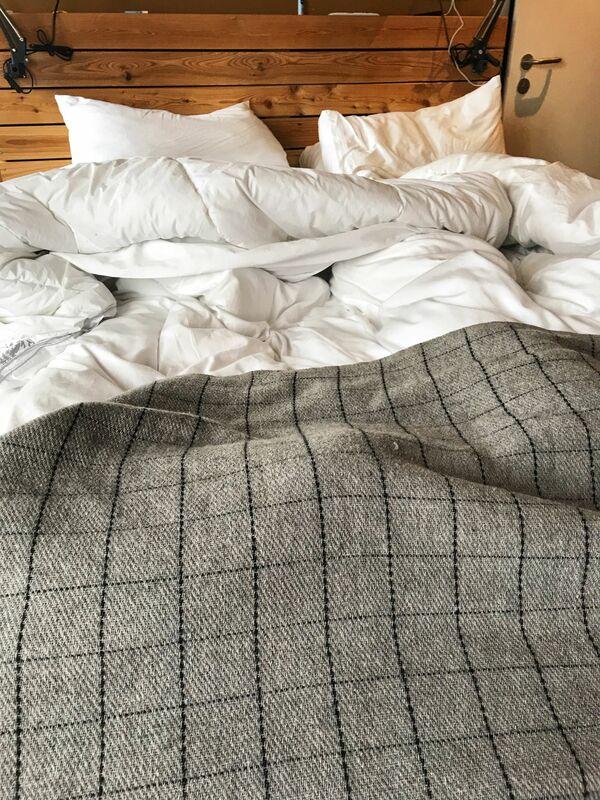 The single quilts meant I could put the duvet over my head as I like to sleep and Adam could stick his feet out of his without making my feet cold. A win-win situation! The rainforest shower, toiletries and hair-dryer were welcome additions in our room and in particular, saved so much space in our hand luggage! 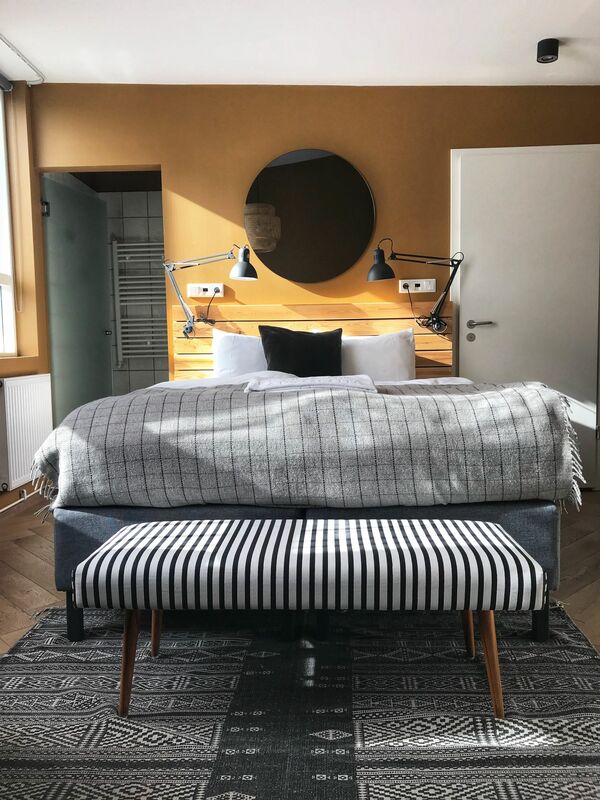 The Swan House in Reykjavík is everything I love about a boutique hotel stay and if you’ve been reading this blog a while you will know I love boutique hotels! 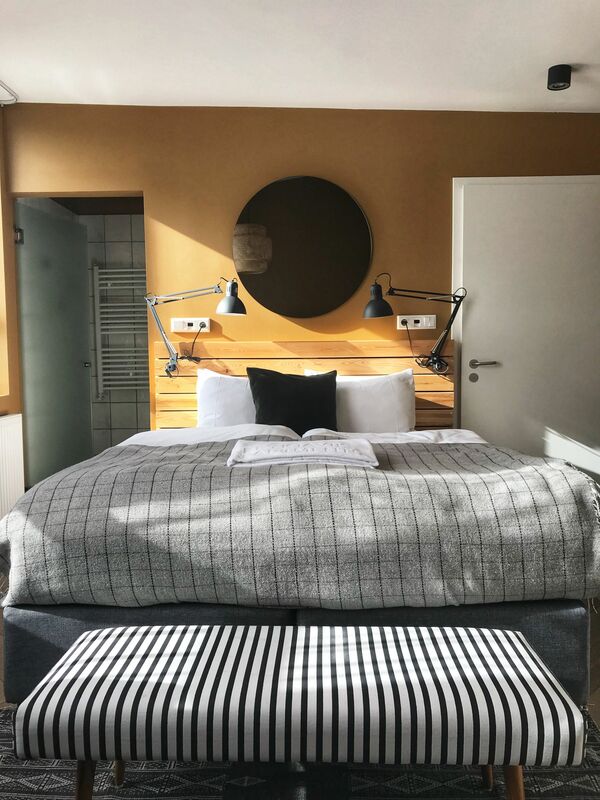 These beautifully designed apartments are designed to make your stay in Iceland comfy (I loved putting the heating on in the evenings), whilst allowing you the opportunity to experience all that Iceland has to offer. 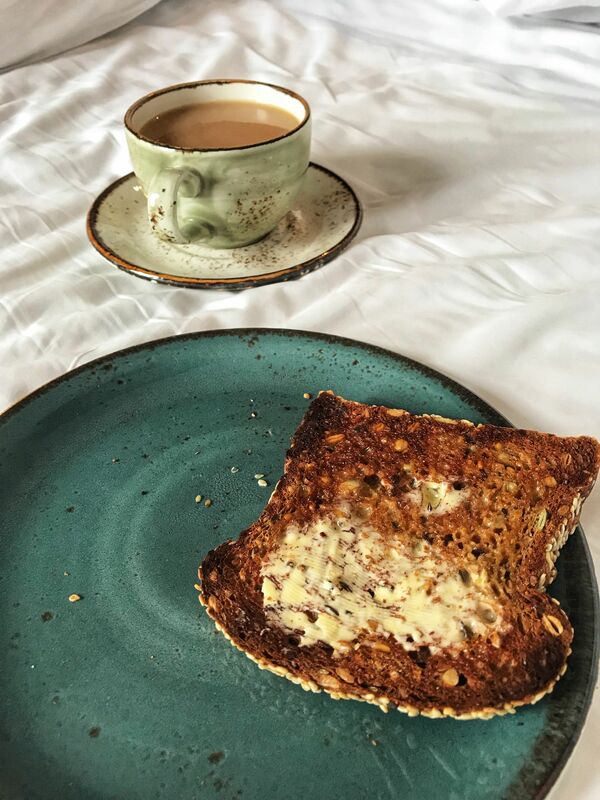 Not only that, it’s the convenient little features we all take for granted, such as plug sockets above the bed on the headboard, where there is also space to place a drink. We were also blown away by the size of the flat screen tv. Though, we were too busy exploring on this trip to give it a watch. Another thing I noticed is that the staff at The Swan House had a team hiking day the week we stayed, which only goes to show they are just as passionate about exploring their homeland as us tourists. Not to mention, the reception staff are extremely helpful if you have any questions or need recommendations during your stay. 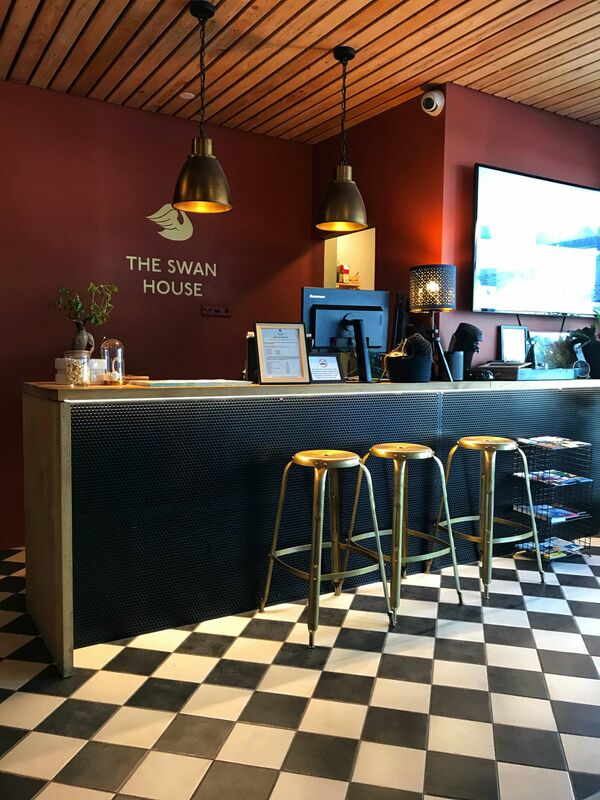 The Swan House in Reykjavík is without a doubt one of the nicest (if not the nicest) apartment hotel we have ever stayed in and not only did we find the room arrangement and location ideal for our needs, it was most convenient to keep our costs down during our stay in Iceland. 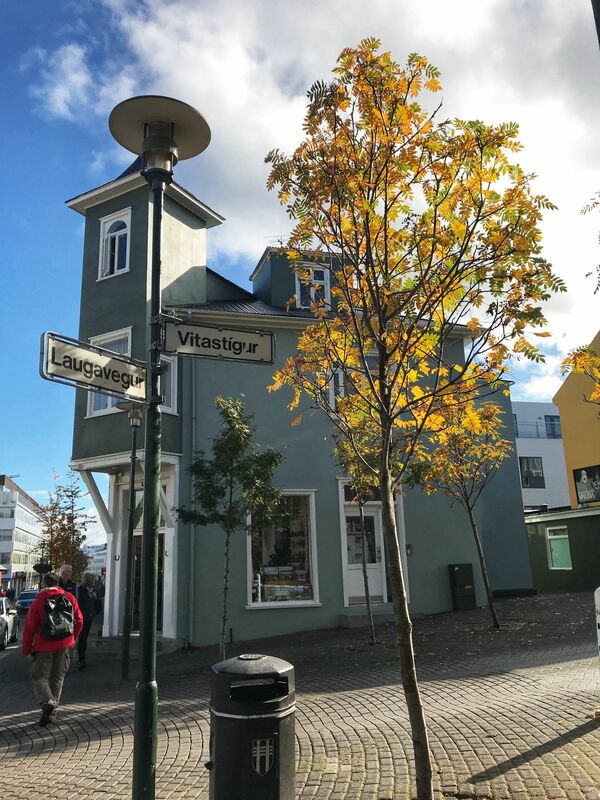 For first time visitors to Iceland, the location of The Swan House in the heart of Reykjavík city centre with close proximity to South Iceland’s main sightseeing spots makes the hotel the perfect choice for visiting Iceland for the first time. A true home-away-from-home and a haven for us after a day exploring. Somewhere we could kick off the walking boots and sink into the warm and cosy bed. Want to stay at the cosy Swan House boutique hotel apartments? Here are the details you need! If you have any questions about The Swan House or Iceland in general feel free to comment below or send me an email. Share the love & pin this post! Wow, I’ve never heard of the Hallgrimskirkja church tower. Usually it’s mountains that are visible from almost anywhere. It must have been an incredible view to see it all the time from your apartment. Great photos. This looks like a fantastic place to stay! Iceland is on our bucket list and we always try to find places to stay with little kitchenettes. For us it’s because of food allergies- but I’ve heard that food in Iceland is crazy expensive so this is a great way to save money! I just love staying in unique boutique hotels, and the Swan House seems exactly like somewhere I’ll be checking out on my next trip to Iceland. Having somewhere to cook your own meals makes a huge difference to me when travelling. I love boutique hotels and this one looks so cute! I bet that kitchenette came in handy too. What a beautiful hotel, complete with a gorgeous kitchen and all the things you need to cook! I would love to stay here, Iceland is such an amazing place! My wife and Inwill heading to Iceland in February and this looks like a top pick. Thanks for sharing this suggestion! Aww, glad the post has helped you 🙂 I’m so jealous, I really want to return to Iceland as I was blown away by its beauty! Have the best time & please let me know if you stay here! This looks like a lovely place to stay! Having a kitchenette in your room is such a money saver. My family always tries to make sure we have one so that we can spend more money on fun excursions rather than food. We eat out too, but being able to make your own food some of the time is very helpful! It was perfect for us 🙂 They have family apartments available too. I love the concept of the Sun Voyager statue, such a meaningful message. This hotel is situated right in the heart of Reykavik, with everything you need in walking distance. Bus stop 7 one of the main pick ups for tours and airport transfers is a 2 minute walk away. We stayed in a family room with our 2 kids which was a great size. The small kitchenette was really useful given how expensive Reykavik is and the bed was huge. Staff were very friendly and let us check in early when we arrived at 1.30pm. Rooms are very clean and we found the hotel quiet and comfortable. Boutique hotels are always my first choice. I love the classic elegance and simplicity of Scandinavian decor. It always feels light, airy and uncluttered. The Sun Voyager statues is fascinating. I would love to see it. I am planning a trip in the first half of next year so I have bookmarked the post. 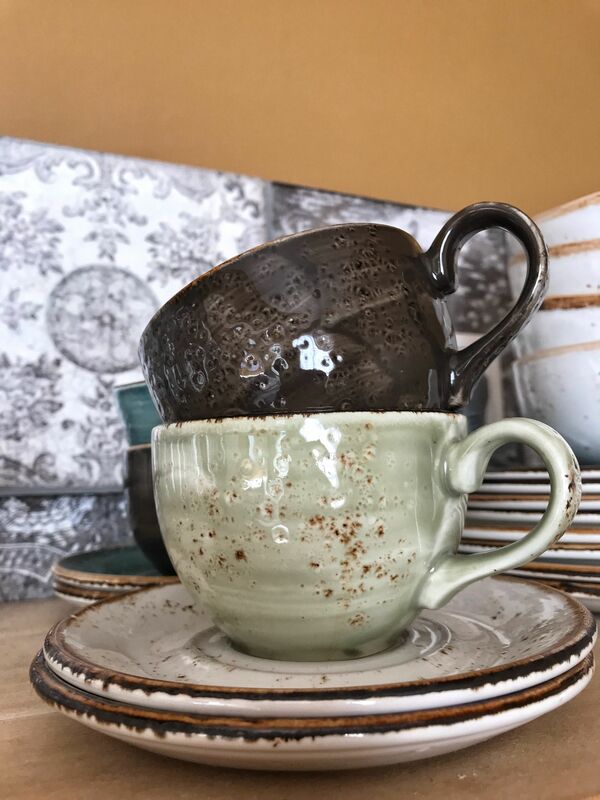 Wow, everything in this hotel from bedding to cups match one style and looks amazing! This looks fantastic, I have always wanted to visit iceland.